Looking at these photos, I can see that all is right in your world. Sooner or later everyone finds their own peace, I'm sure all your critters couldn't be happier just hanging in their own spaces. Oh...I kinda feel sorry for ol' Smooch, segregated to the outer limits like that. It doesn't look like he misses a thing though! Robert Frost seems to be in a lot of the blogs these days (myself included) and this one reminds me of an oft-quoted line of his, "Good fences make good neighbors"
The very best part of living in the hinterlands is that the animals can all do their instinctive things, and have their separate peace, and still enjoy the comfort of a loving home. I would like to be snuffling around there, than here, up to my neck in ice! Separate yet together. I love this. 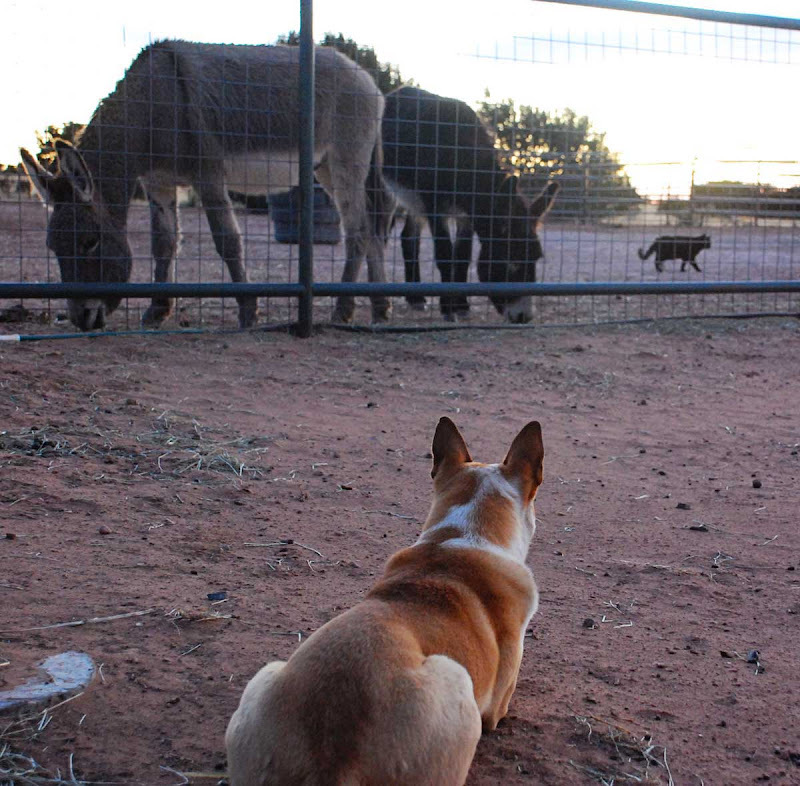 Does Smooch ever get to go in with the donks? 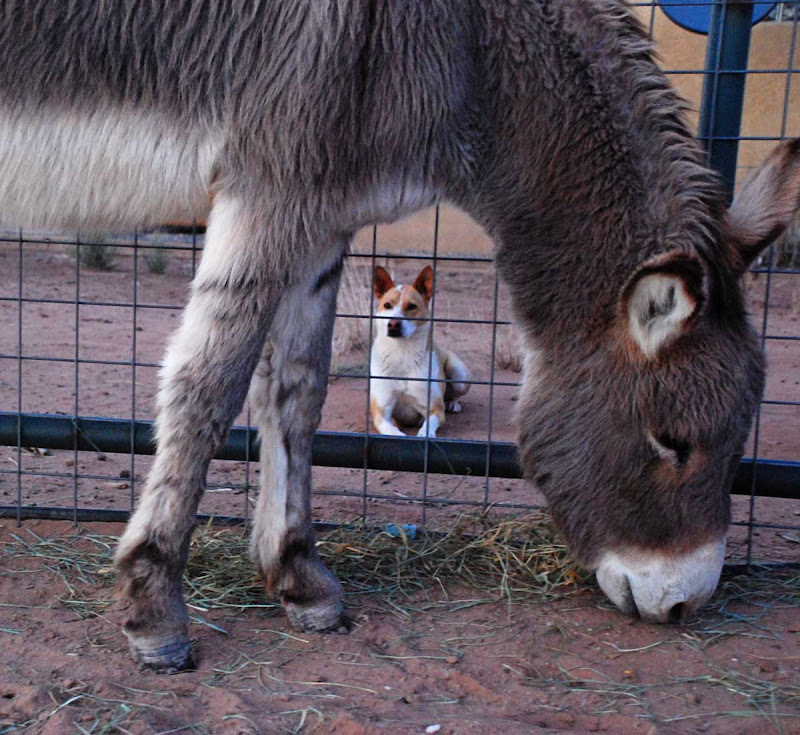 I've heard that some donkeys actually get along with dogs, but I've yet to see it. 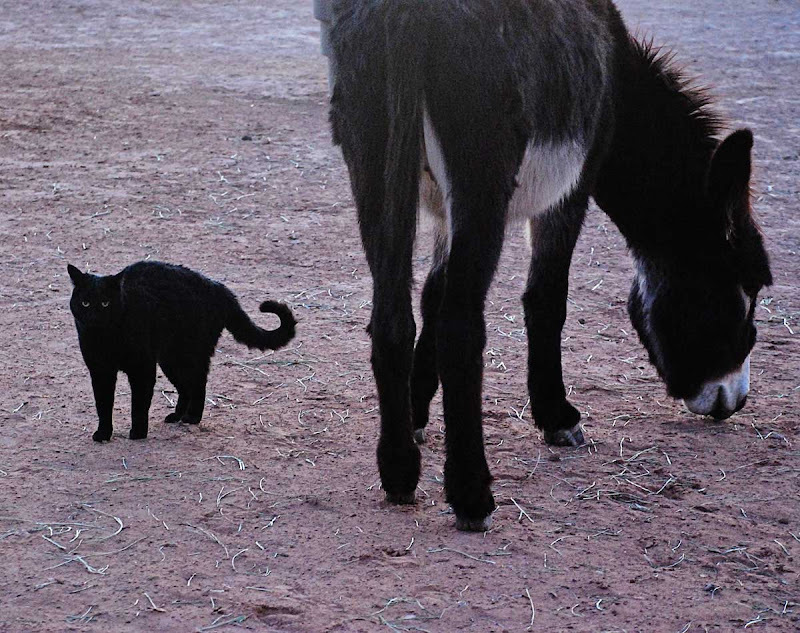 They're too close in appearance to the donkey's enemy, the coyote, for comfort, I guess. Danni, Smooch never goes in with the donks or the horses. I'm just not willing to risk her getting kicked in the head to learn her lesson. 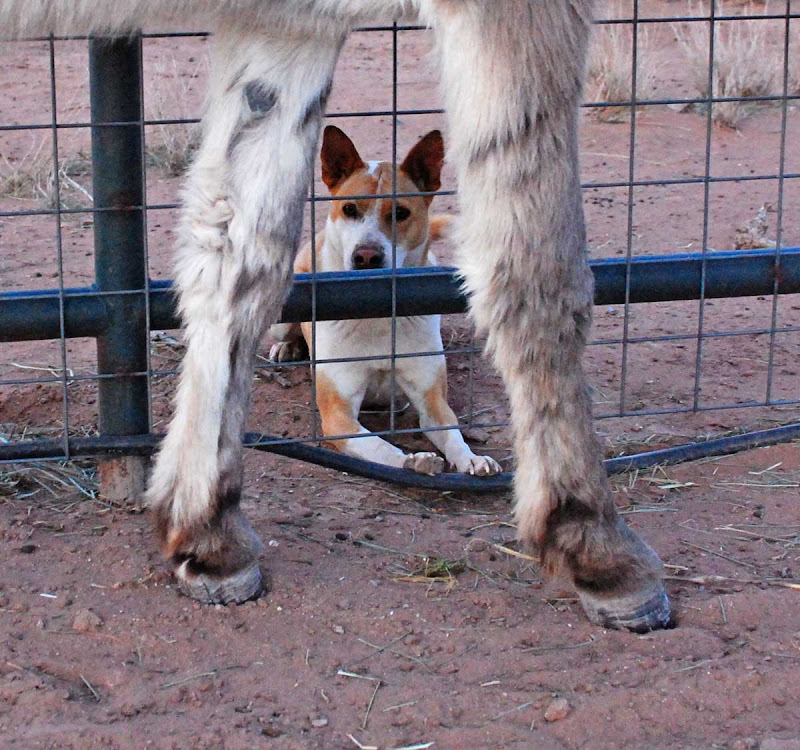 I swear your animals see you coming with the camera and arrange themselves accordingly! !